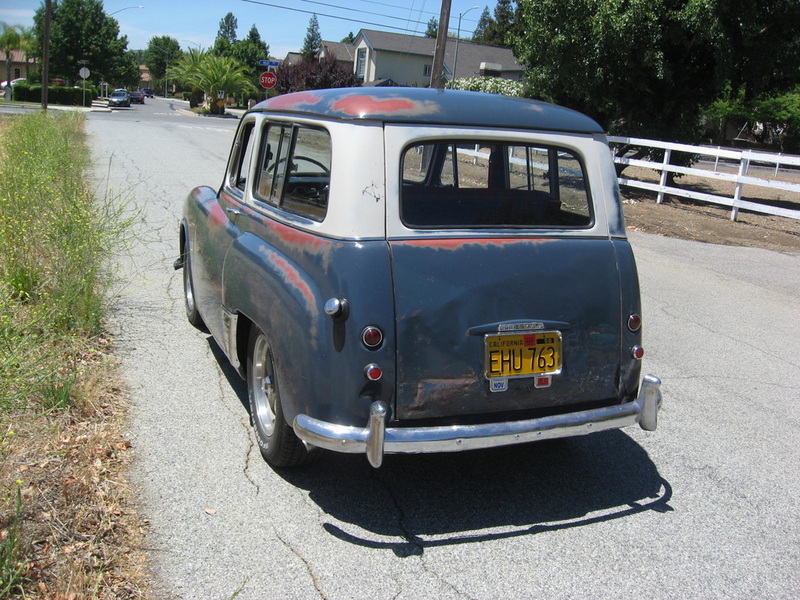 This is the near final look of a long term project to put a hemi in to a Hillman Husky. It's not completely done but it's now on the road. 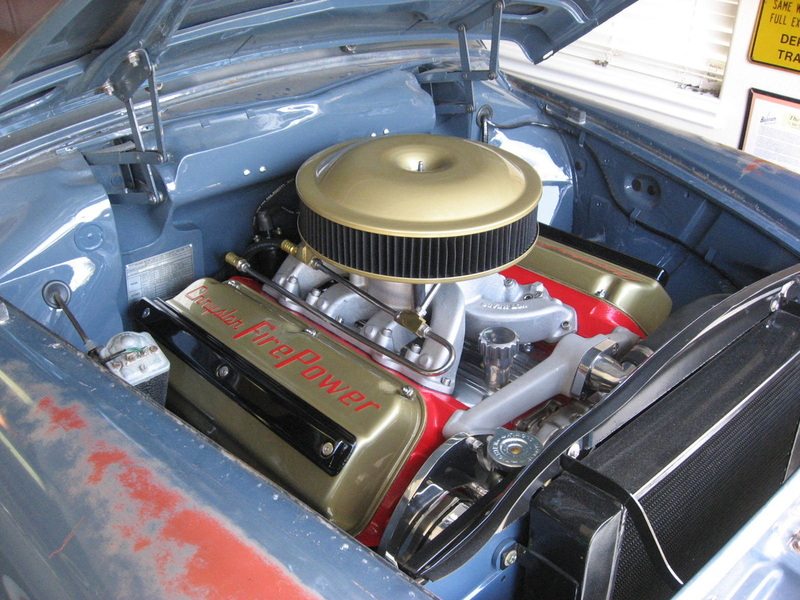 This started out as a stock 392 cubic inch 325hp/430 torque engine out of a 1957 Chrysler New Yorker. We bored it .020 over and put in an Isky 270 cam. Compression ratio is 9.59:1 which is just a little more than the 9.25 it was born with. It runs at 180 degrees although temp does creep up a bit at idle. I think when I add a fan shroud it will idle all day at 180 degrees. 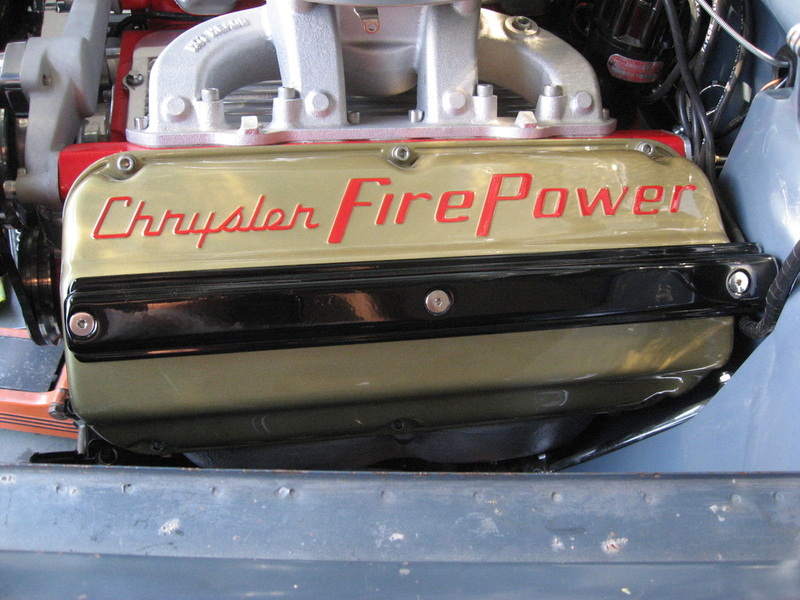 The firewall and transmission tunnel were heavily modified to fit the huge 392. 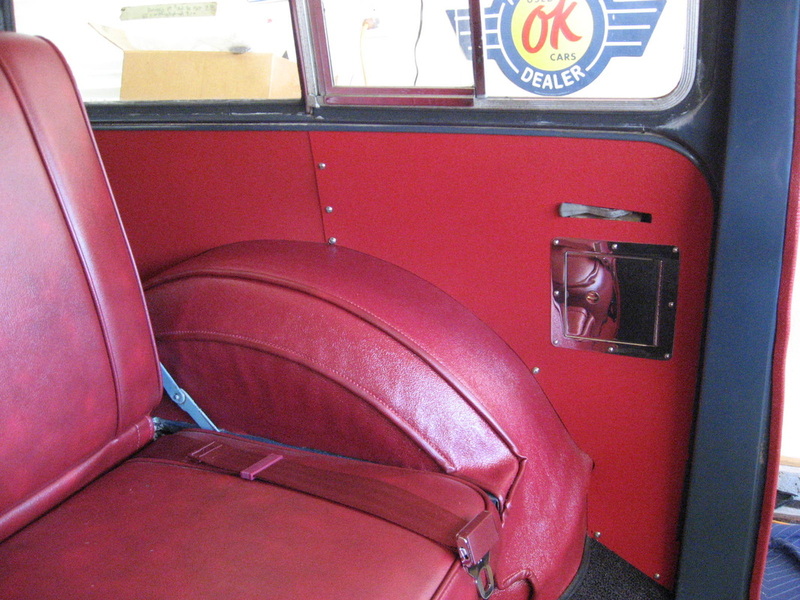 We kept the hood hinges in their stock locations but modified the pockets they sit in. 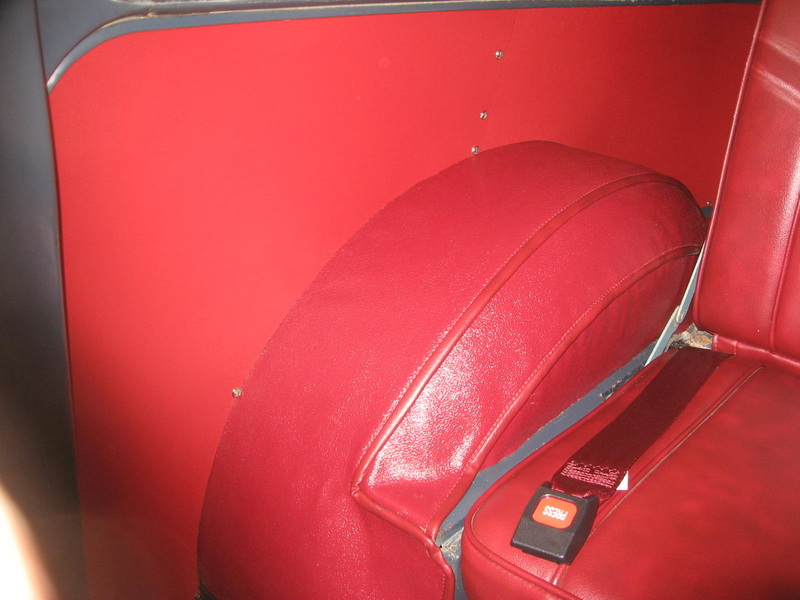 The battery used to sit in the middle of the firewall but has been relocated under the rear seat. When modifying the firewall we kept in mind that we wanted to be able to maintain and service the motor without too much hassle. 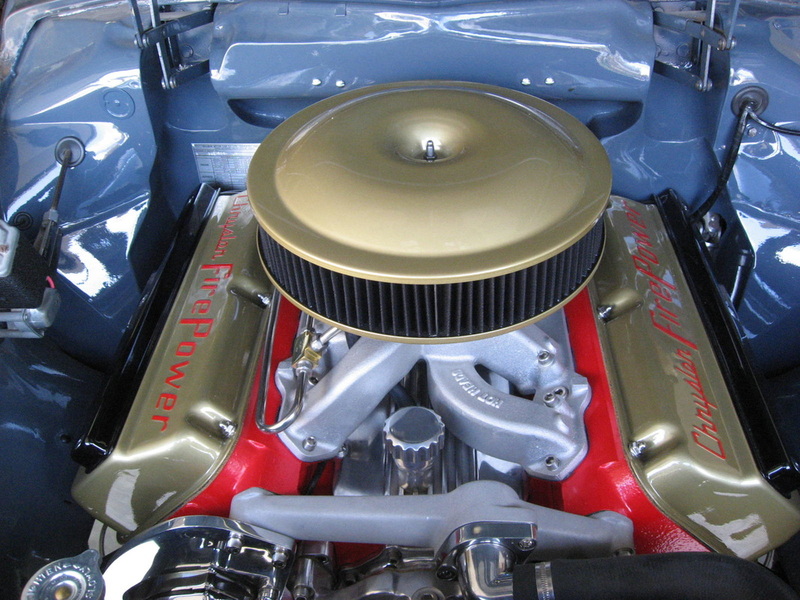 There is enough room to remove the valve covers and distributor and anything else if necessary. There are no plans to paint it. I like the worn look and am looking for an old blue hood to replace the one currently on the car. It came with a yellow hood so we painted it to kinda match. If you know where I can find a Husky with a good blue hood and back door please contact me. Anybody have a spare rear door in the same color blue? The above picture shows the old grill. 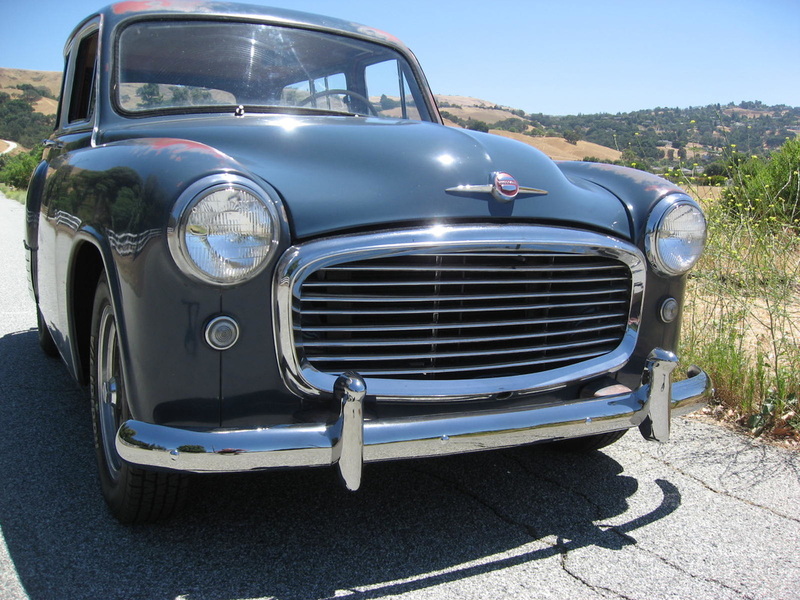 I have since changed this grill out to the correct one for the car as seen in the picture below. The old grill above would have been correct on an earlier Husky but not a 1957 Husky. 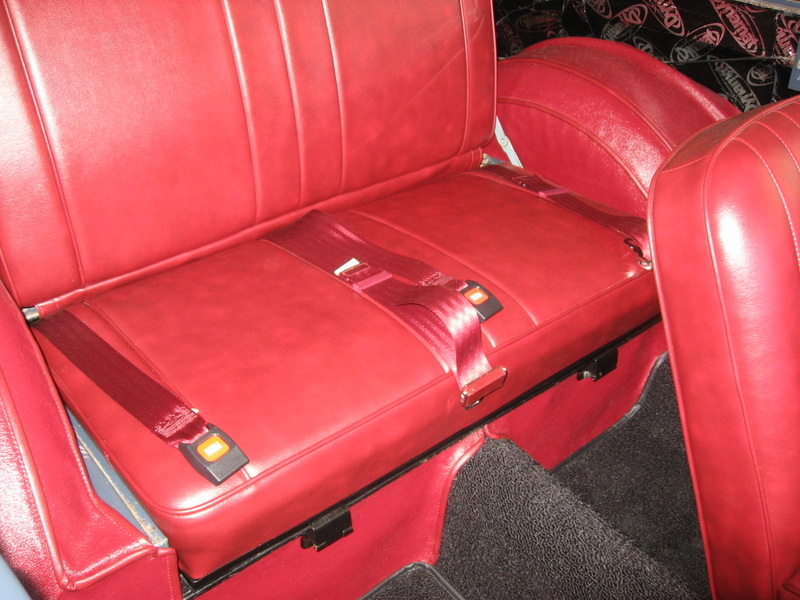 All upholstery except the side panels were done by Ray's Upholstery in Watsonville. Umpato did a great job. We matched to the original colors the best we could. Pedals are coming through their stock location in the floor and provide the correct 4 to 1 ratio that the brake booster required. 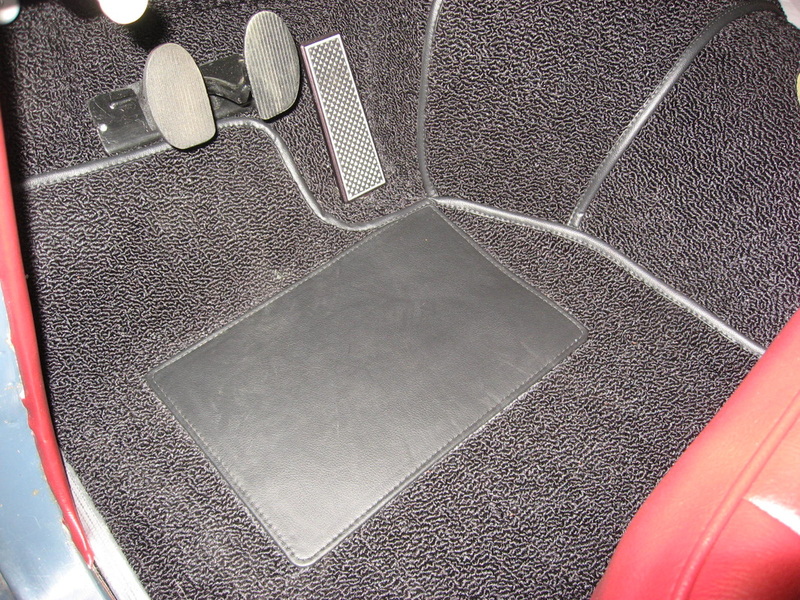 We changed the gas pedal to one from Control Cables Inc. It fits a little better and was smaller than the first one I tried from Lokar. Skinny shoes are beneficial since the pedals are all close together. That stainless door hides the brake and clutch reservoirs. There was nowhere else they would fit. I still need to fabricate a bezel for the rear door release handle. 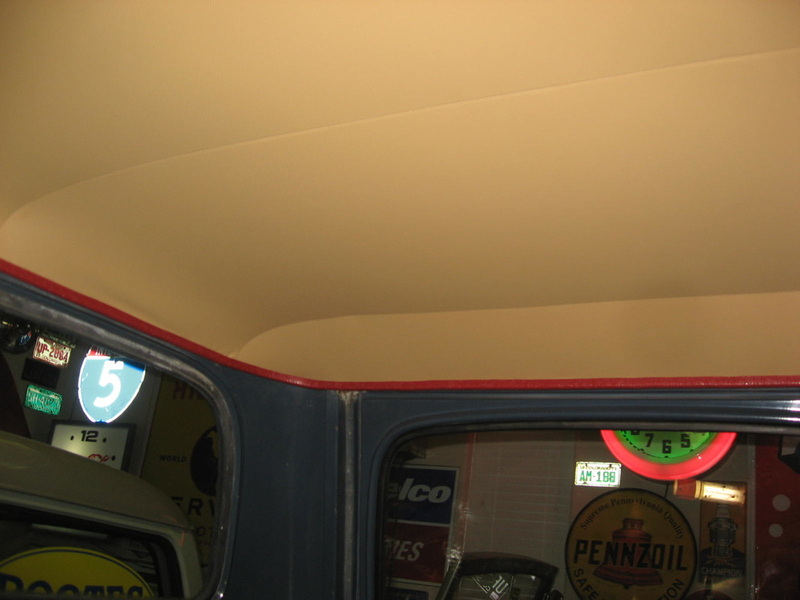 Original headliner was a similar color and was made by Bob at ACME Auto Headlining in Long Beach. 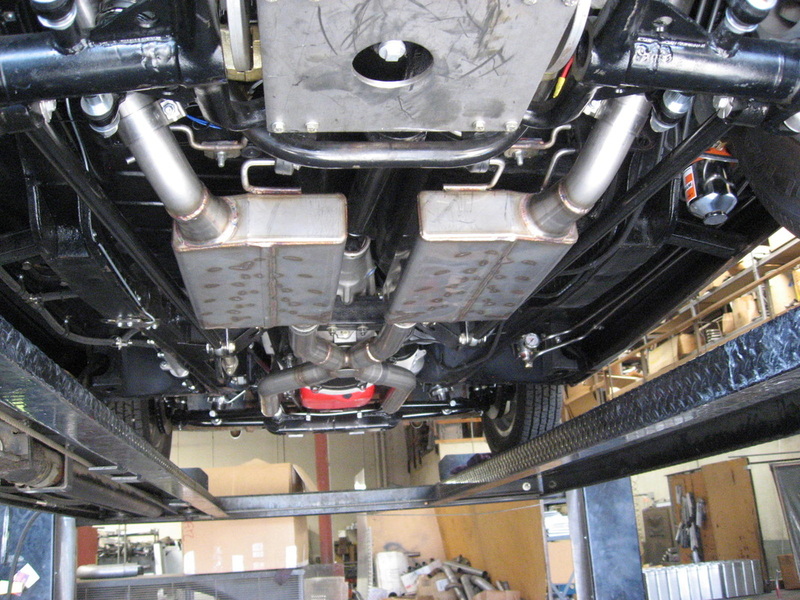 I've been a big fan of SpinTech mufflers for a while so I asked Ron DiDonato of SpinTech if he would do the complete exhaust on my car. He said he'd do it if I promised not to call him and keep asking when it would be done. It took a long time but I never called him. It came out great. There were some tight clearance areas and Ron and team did an absolutely awesome job. 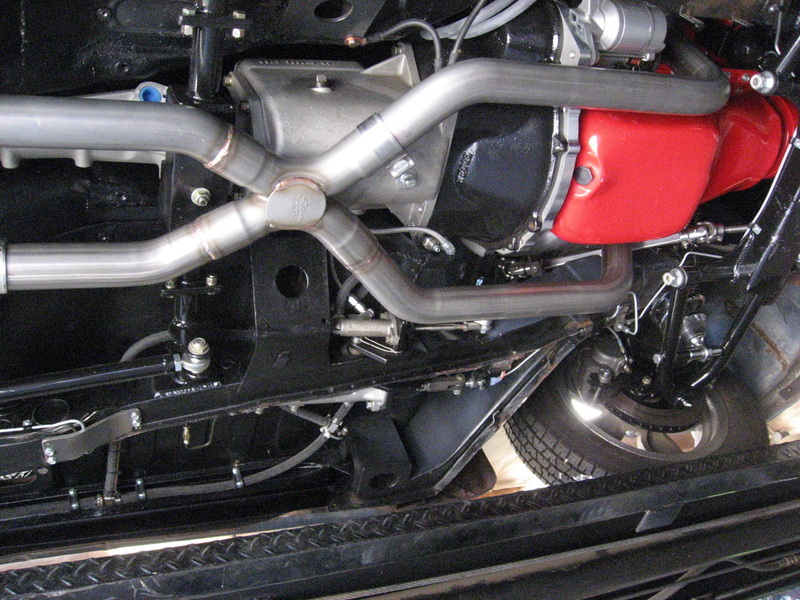 The complete exhaust was first fabricated and mocked up out of steel and then once it fit they pulled it all out and made it out of stainless steel. It sounds great. This one is much quieter than my other Husky which is just what I was shooting for. 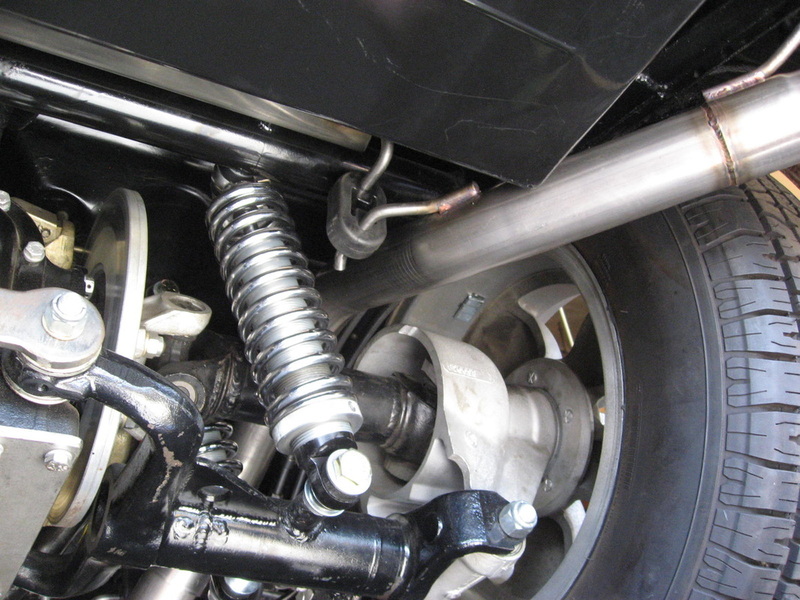 QA1 quad coliovers make it easy to adjust ride height. It has a nice smooth ride. Total car weight is just under 2,800 lbs. with the front being 52% and rear 48%. 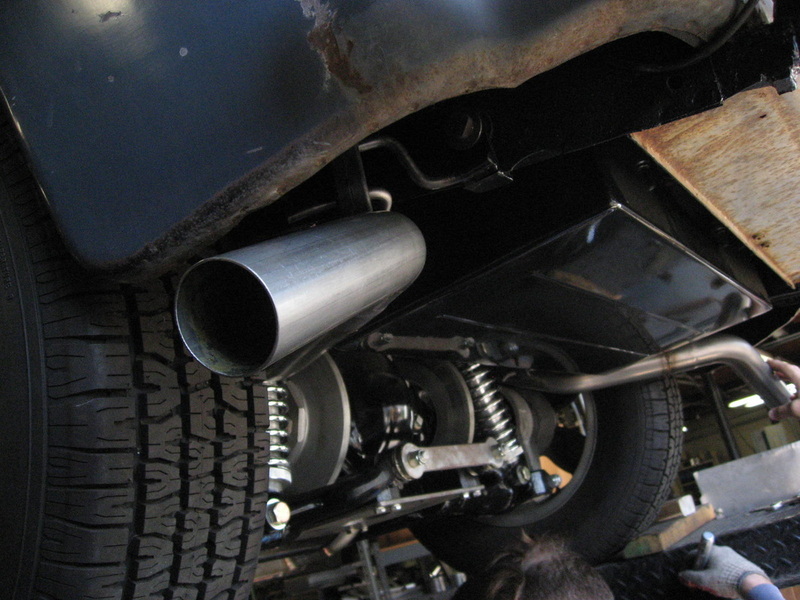 Mufflers are custom made and have that slight sideways turn out coming out of the back. Tom Hall engineered and installed the brake and clutch systems. Look at the huge master cylinder. This is the High Power Master electric brake booster. Didn't have room for a diaphragm booster under the floor so we went this route. It works well and is quiet. 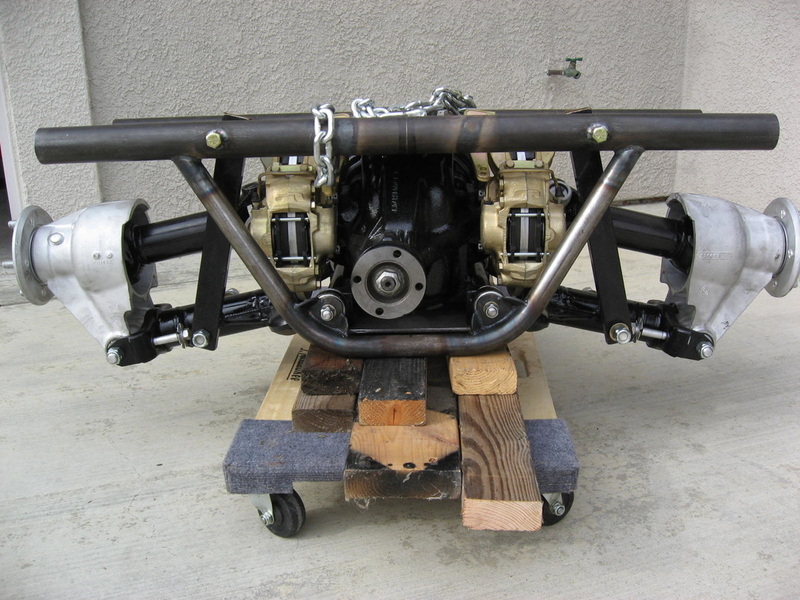 This is the rear end set-up just before going in the car. This began it's life in a Maserati Quattroporte. 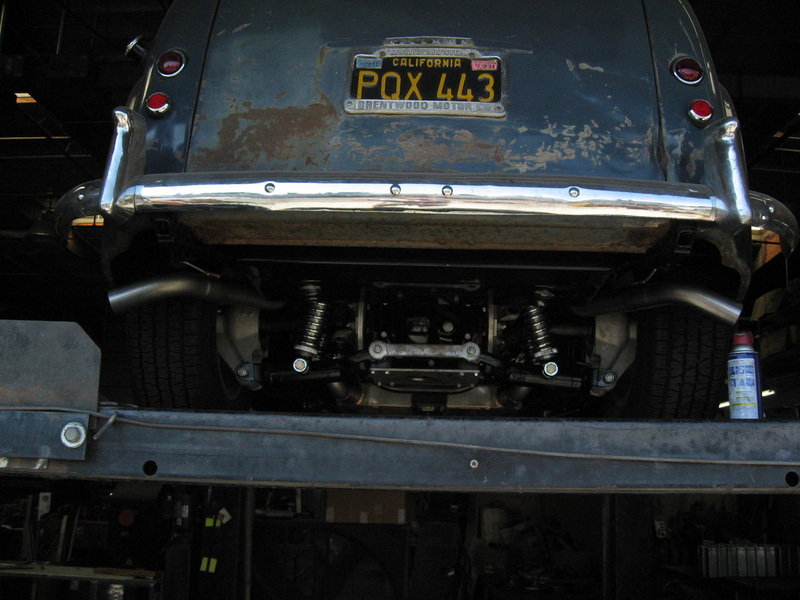 After much measuring we ended up taking the Maserati posi 3.54 gears and installing them in this Jaguar rear end. 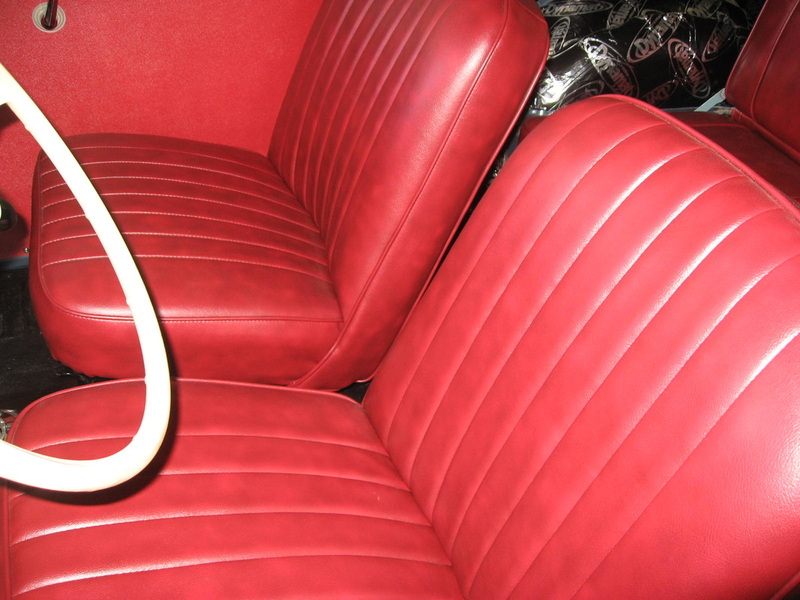 It's narrowed down to under 49" which would not have been possibel with the Maserati IRS. 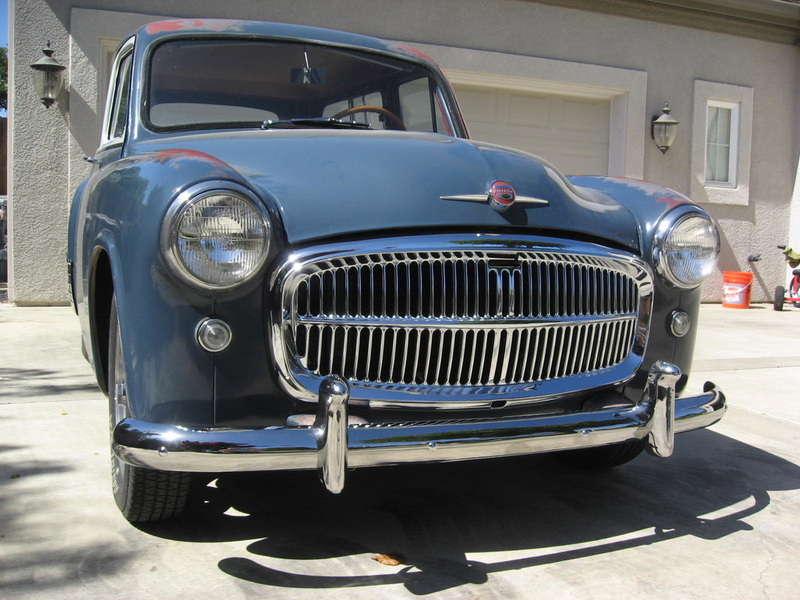 All work was done by Curt Hamilton of Hamilton Automotive Industries in Van Nuys. 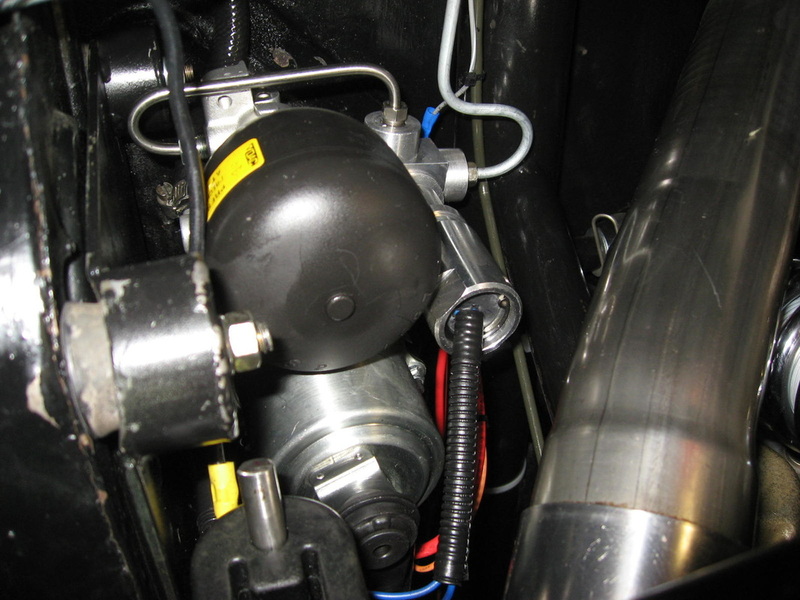 This picture shows the original dual point ignition distributor. I've since replaced it with an MSD unit. 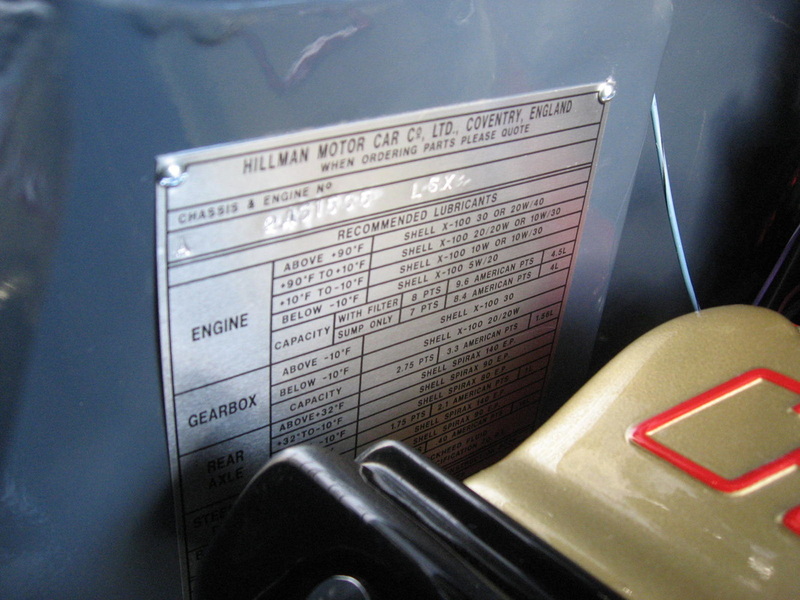 Valve covers were powder coated and the lettering was done by Real Ralph and then it was all clear coated. Had to relocate the VIN tag on the firewall. It was originally in a spot a little higher on the firewall.